Star Wars comic based on Disney theme park announced – AiPT! A new Marvel comic book, titled “Star Wars: Galaxy’s Edge,” is coming in April. The series will be written by Ethan Sacks and drawn by Will Sliney. Both have past Star Wars experience, as Sacks wrote the recent Mace Windu story in the Age of Republic Special, and Sliney drew the Beckett one shot. Sacks was interviewed by StarWars.com, where it was revealed that the story, which ties into the upcoming theme parks at Disneyland and Walt Disney World, will follow Dok-Ondar, a mostly mysterious character who was mentioned in Solo: A Star Wars Story. 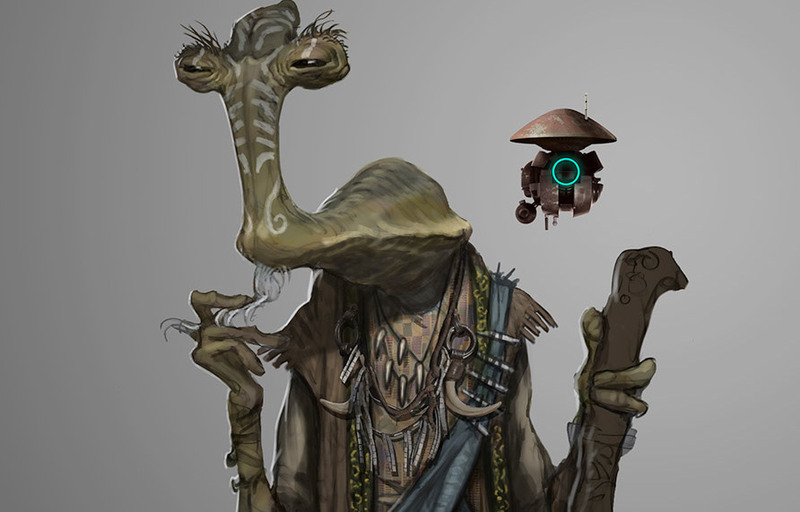 “There’s a reason Dok-Ondar’s name ripples far and wide in the Star Wars universe. He’s a mysterious Ithorian who is the proprietor of the most notorious antiquities shop in the galaxy. And every item has a story behind it. Some more dangerous to listen to than others,” said Sacks. The interview also gave us our first look at artwork for the series in the form of a variant cover designed by Karl Lindberg and Iain McCaig, which you can see below. Star Wars: Galaxy’s Edge #1 will be released in April.